Laboratory-based testing to diagnose a patient’s disease or understand the cause of specific symptoms has traditionally centred on two spheres of laboratory testing. Clinical diagnostics is broadly concerned with the analysis of body fluids such as blood, while anatomic pathology is focused on the analysis of tissues, for example, biopsies or cellular aspirates, commented Lisa-Jean Clifford, CEO at Psyche Systems. However, during the last couple of decades, the emergence of next-gen sequencing and other gene- and protein-based assays and technology platforms has led to the development of complex molecular diagnostic technologies. These platforms don’t just identify pre-existing symptomatic disease, but are used to help predict disease risk or predisposition based on family history and genetic makeup, and to help clinicians select most appropriate treatment for patients according to their genotype. ‘The challenge from an informatics standpoint is really being able to support all of the core functionality around those analytical processes and the complex experimental and data workflows,’ Clifford suggested. ‘For predictive testing based on next-gen sequencing you need to have a database that can map patients’ histories, possibly in context with those of their families, including children, siblings, parents and grandparents. Pharmacogenomic testing to help select the best medicine for a single patient according to their genotype will involve the analysis of genetic make up in combination with other patient data. But whatever their specialisation, all diagnostic laboratories will have some key fundamental requirements in common, Clifford noted. ‘Underpinning every LIS will be a discrete database that lets you mine and compare disparate data so that you can derive maximum value from that data. ‘You also need seamless integration with instruments and other software, and a test ordering, scheduling and reporting system that can handle multiple types of workflow. A key requirement is the ability to integrate in a bidirectional manner between applications, and between instruments and applications, as well as output human-readable data. And on top of that your data flow must be managed and communicated in a compliant, automated fashion’ Clifford stated. On top of these common requirements, every laboratory will have more unique and higher level requirements, even if they offer similar types of testing. You need to be able to build and configure an LIS from the ground up to support the complexity of each laboratory’s operation’. As a rule of thumb, clinical diagnostic testing is high volume but low complexity. Anatomic pathology is mid-volume and mid-complexity, while molecular diagnostic assays are generally low volume but highly complex. Compare any two LIS platforms and it’s likely that the front ends, which handle ordering and sample accessioning, won’t necessarily differ hugely, irrespective of the type of laboratory, she continued. The middle sections will have to get the sample through the testing workflow, and that could involve just a single analysis on a single sample, or splitting the sample so that perhaps multiple additional tests can be carried out, each dependent upon results from the previous test. Set up the LIS to follow reflex rules and much of this can be automated, Clifford pointed out. The Icahn Institute’s Mount Sinai Genetic Testing Laboratory in Connecticut carries out nucleic acid sequencing for clinical diagnostic and pharmacogenomic testing, and also for academic and pharmaceutical research and development. The unit works with investigators at the institute, and with external clinicians, academic researchers and the pharmaceutical industry. A laboratory that carries out such a diverse range of clinical and non-clinical testing using complex molecular genetics techniques requires a LIMS infrastructure that can handle multiple types of workflow, manage complex data, and also meet all regulatory requirements for clinical sample and data handling, process validation, data reporting and patient confidentiality, explained Todd E Arnold, PhD, managing director at the site. 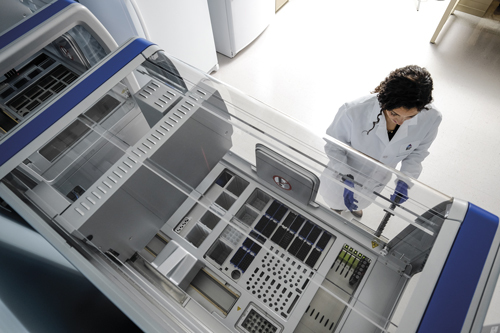 ‘We started working with Core Informatics, a part of Thermo Fisher Scientific, three years ago to configure and deploy their Core LIMS system at the laboratory. The entire process took about 18 months. One of our key priorities was to be able to guarantee complete traceability of every sample from the moment that it arrives, so that we could identify, map and track progress at any time point and processing stage in the workflow,’ said Arnold. ‘Critically, the LIMS had to be easily adaptable so that laboratory personnel could relatively easily add and validate functional elements for managing new workflows and instrumentation. We needed a platform that could be used on a day-to-day basis by technicians and scientists who aren’t experts in IT or LIMS’ stressed Arnold. But the Core LIMS isn’t just a workflow tracking system, Dr Arnold stressed. The Mount Sinai facility currently has the capacity to analyse 50,000 to 80,000 samples per year, and that number will just grow, Dr Arnold suggested. ‘As we grow and expand throughput will increase, and we will undoubtedly be looking to incorporate new assays, panels, and sample sources to our workflows. There will possibly be new nucleic acid sequencing platforms, and other technologies for related analytical methods including gene expression, protein analysis and nucleic acid amplification. ‘We currently operate a range of instrumentation from different vendors, which are all connected to Core LIMS as part of a workflow. This range of equipment and vendors will expand, and will become more diverse as we witness increasing amounts of cross disciplinary research, for example, physicists working with biologists. 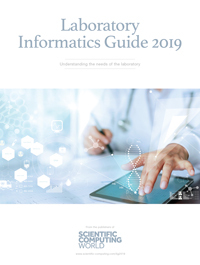 Although instrument vendors are becoming aware that their equipment may get plugged into multidisciplinary workflows, having the Core Informatics platform makes equipment integration and interfacing between software and the LIMS seamless,’ Arnold continued. The Core LIMS platform has been set up as a part locally and part cloud-hosted system, but the likelihood is that more and more of the data workflows will be migrated to the cloud. ‘This will provide greater capacity, but also make it easier for people outside of the site to access permitted data, and setting up a joint cloud environment is easier than setting up multiple VPNs,’ Dr Arnold pointed out.